Lavonne Roach – 30 Years- LaVonne has rebuilt herself from a pre-prison existence that is hard to fathom if you haven’t been there - an unremitting tale of alcohol, drugs, poverty, violence and abuse starting at age 11. LaVonne doesn’t deserve a second chance. She needs a first chance - a first chance to live in peace, to care for her ailing parents, to love her children, to help care for grandchildren who hardly know her. Patricia Clarke – 1st Offender – Life- I hope and pray that what I did when I was 20 will not define me for the rest of my life and mandate a death sentence. I’ve read that people who commit murder, even in the state of Texas, face 5 to 99 years. I never killed anyone, yet, due to the conspiracy statute, I’ve been held responsible for the actions of others and given a Life sentence. 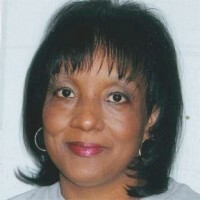 Rita Becerra – 1st Offender – 27 Years- I pray that the 20 years I have already served will be considered sufficient for my role in what occurred, especially since those who were far more involved are now home. I am 63 years old and the balance of my life is moving toward the shallow end, so I pray that I will be reunited with my children soon. 300 queries in 0.584 seconds.